What is your favorite part about summer? To me it is always the food. Having cook outs, firing up the grill and having friends and family over is what warm summer nights are all about! When I was a little kid I just loved summer so much. We were still in Chicago and I would get together with my cousins and we would just have a ball. Slip n slides, pool parties in those tiny plastic pools and pumping our legs harder and harder to go as fast as the wind down a hill by my house on our bikes. That’s what I think of when summer comes to mind. But, the sweets, they were (and still are!) my favorite! Ice cold fizzy sodas to quench our thirst when we were good was always a special treat on extra hot afternoons. Those special sodas are what inspired today’s post, a nod to my childhood! 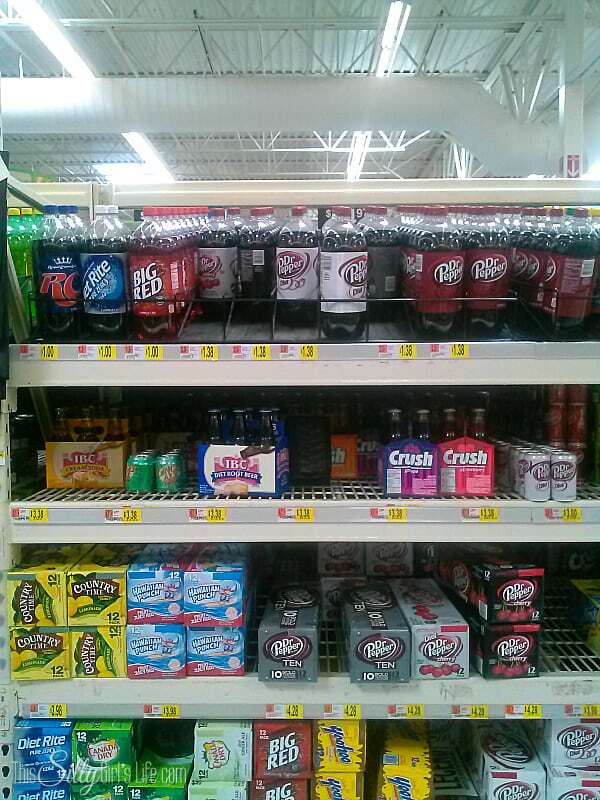 While I was at Walmart picking up all the ingredients I got my extra special secret in the soda aisle! 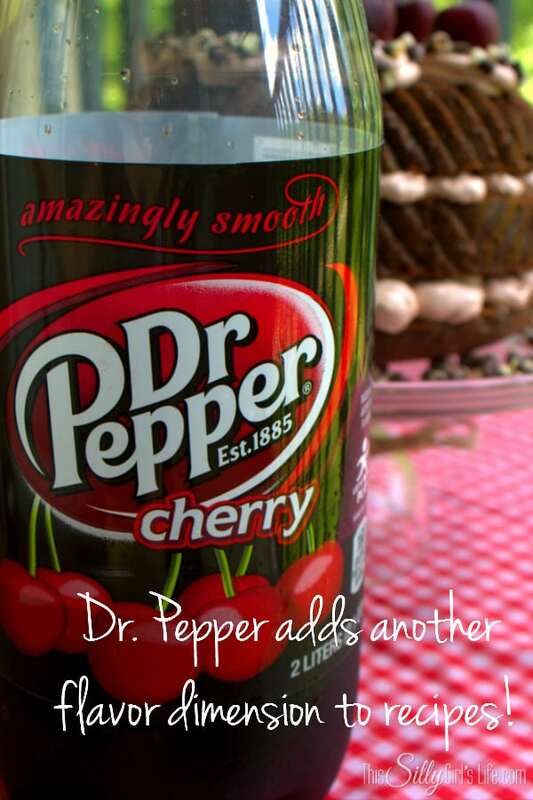 You can’t miss these Dr. Pepper products, they come in lots of flavors and I thought getting the Dr. Pepper Cherry would go amazingly well with the black forest cake I was going to make. Now for the recipe, it looks like a lot of steps but it’s really not hard… trust me! 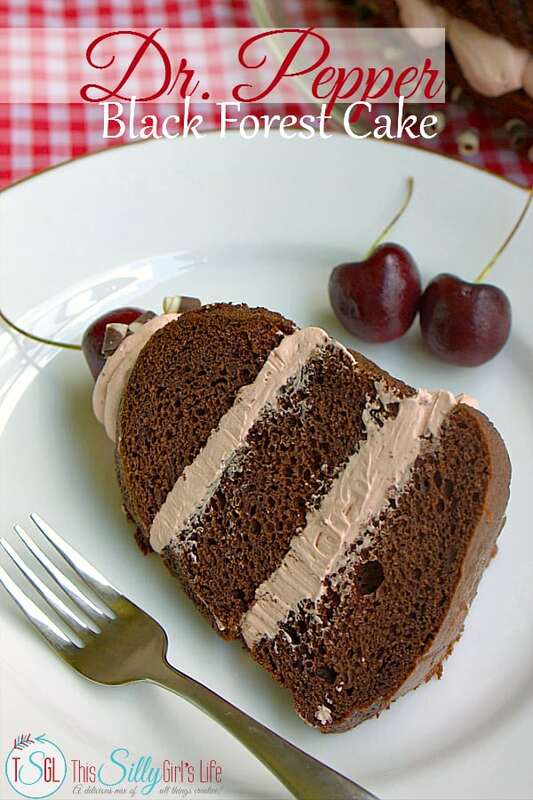 I adapted the recipe for the cake from The Sweeting Spot and the frosting from I am Baker. 1 box chocolate cake mix I used a traditional chocolate, use what you love! Preheat oven to directions on back of cake mix. Mix all ingredients until combined, 2 minutes. 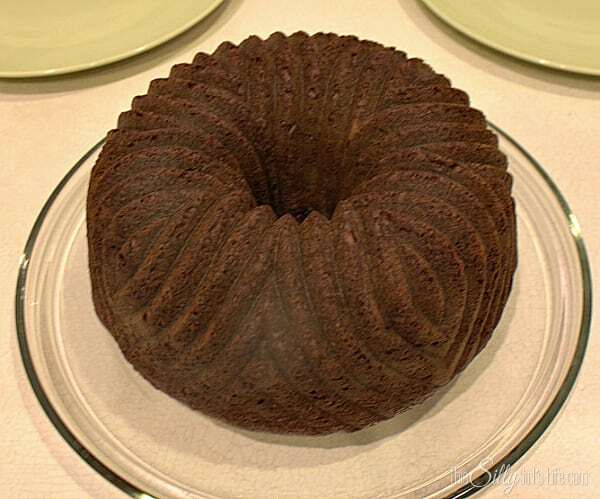 Spoon into bundt cake pan and let cook to directions on back of package. Let cake cool on wired rack for 10 minutes then take cake out of the pan and on the wire rack to cool completely. 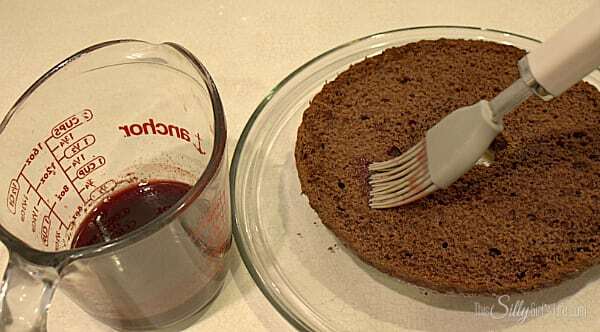 While cake is cooking, make the syrup by placing all ingredients in a sauce pan over medium heat. Bring to a simmer and simmer for 10 minutes. Take off the heat and pour mixture through a fine mesh colander gently crushing the cherries to get as much juice out as your can. Will make about 1/2 Cup of liquid, place in fridge until ready to assemble cake. Place the Dr. Pepper in a pan on the stove and boil to reduce the liquid until only 1/2 Cup remains. This will take 25-30 minutes on high. Let cool completely before making the frosting. Cream the butter in a bowl and slowly add in the powdered sugar. When all the sugar is incorporated, add in the vanilla and whip on high for 4 minutes. Add in the Dr. Pepper very carefully on low speed. Set aside. Carefully cut the cake into three layers. On the first layer, brush on the cherry syrup to your taste, you will need a little more than you think. Let it soak in this will keep the cake extra moist and add more cherry/Dr. Pepper kick. Using a piping bag or spatula, frost the cake layer, trying to make sure the outside will look pretty. 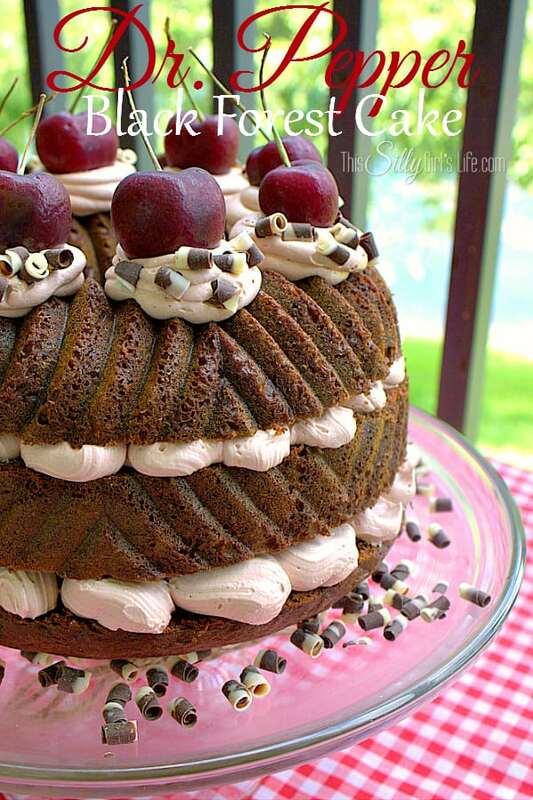 Place the second cake layer on top, add more cherry syrup. Add another layer of the frosting. 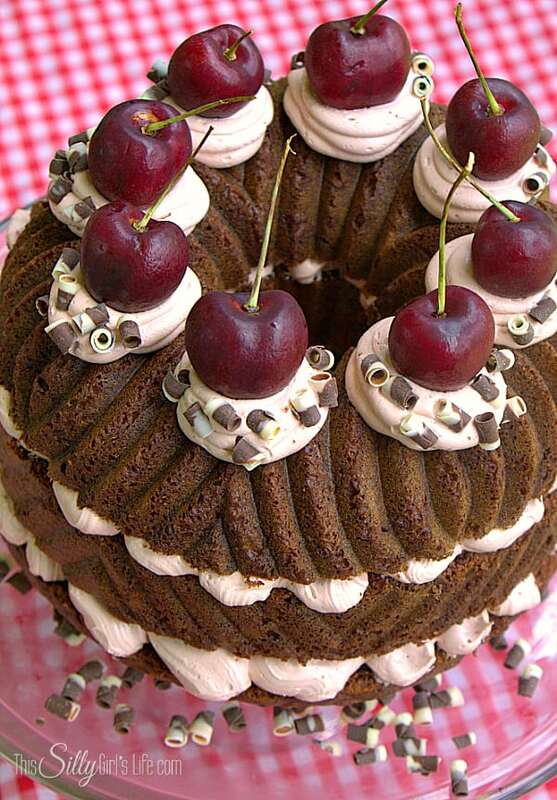 Add the top layer of cake and if desired, design with the frosting as you wish, top with cherries for garnish and chocolate shavings. The recipe for cherry syrup makes more than is needed. Keep it to add an extra kick to cocktails, for another cake or over ice cream! 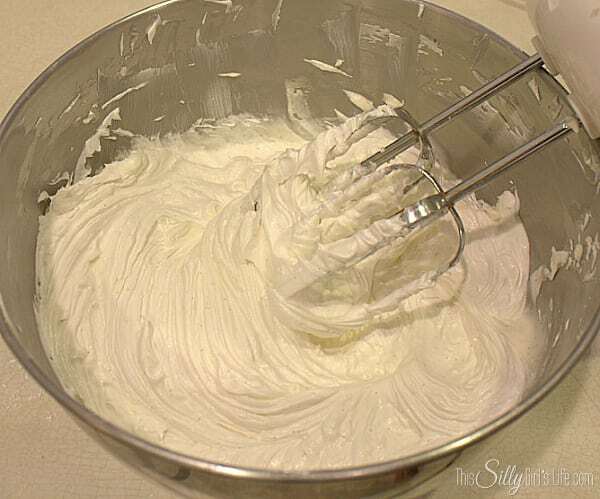 Cream the butter in a bowl and slowly add in the powdered sugar. When all the sugar is incorporated, add in the vanilla and whip on high for 4 minutes. Add in the Dr. Pepper very carefully on low speed. Set aside. Carefully cut the cake into three layers. On the first layer, brush on the cherry syrup to your taste, you will need a little more than you think. Let it soak in this will keep the cake extra moist and add more cherry/Dr. Pepper kick. Using a piping bag or spatula, frost the cake layer, trying to make sure the outside will look pretty. 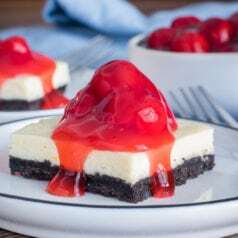 Place the second cake layer on top, add more cherry syrup. 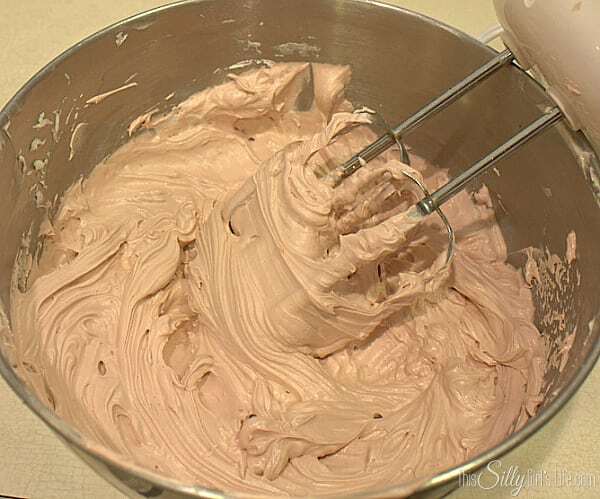 Add another layer of the frosting. 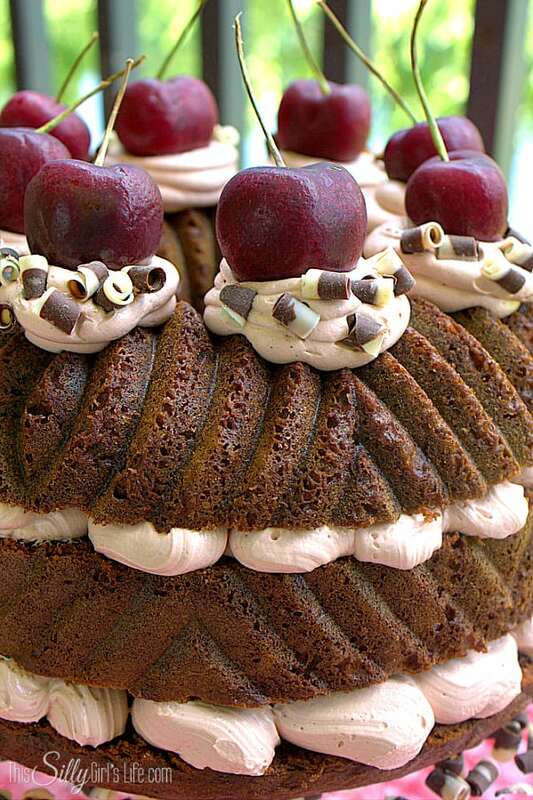 Add the top layer of cake and if desired, design with the frosting as you wish, top with cherries for garnish and chocolate shavings. Yummmm, and boy was Jeremy excited when he saw it! He had to have a piece right away. He loved it of course, well at least he said he did… LOL! 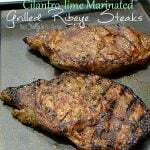 This recipe is definitely a keeper and has that extra somethin’ somethin’ that will make your guest ask what is that?! I love when that happens. So what do you think? 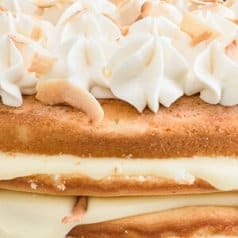 Do you like cakes that have soda in the mix?? I participate in these linky parties, Savvy Southern Style, Coastal Charm and Orj Junkie. 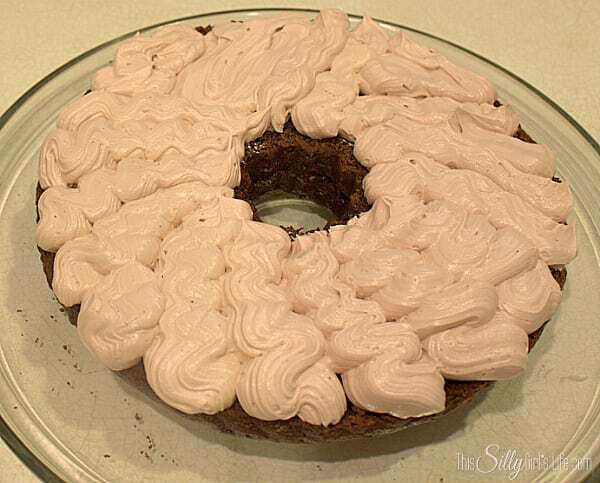 I love how you used the Bundt pan to make this! It’s such a beautiful presentation! Stopping by from I’m Lovin’ It. Looks like I”m loving this cake too. Can’t be anything but delicious. Love everything cherry lately. Yum….yum…and yum again! Holy Smokes 😉 I bet this tastes amazing! Looks totally fabulous. Just a question though, is it actually 4 cups of Dr. Pepper in the frosting? So pretty and I bet tasted amazing! It’s really beautiful! I bet it taste amazing! 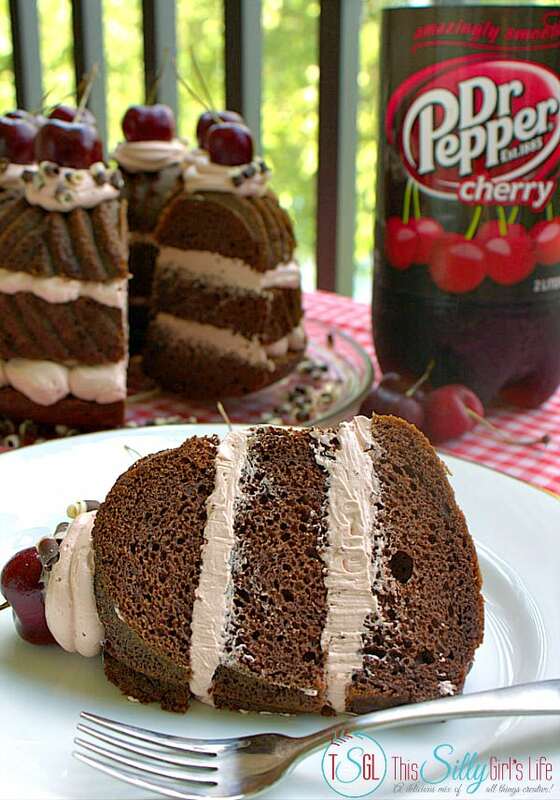 OH Dr. Pepper cake!!! Cute idea! This looks so freaking incredible! Yummm! A great cake. Gorgeous presentation. 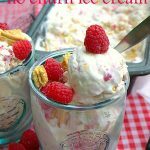 Now this is one I have to try! 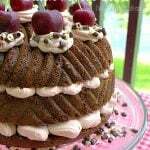 Hi, I’d love for you to join our linky party and share your wonderful cake! http://partypatisserie.com/2014/08/party-time-linky-5/ Thank you! 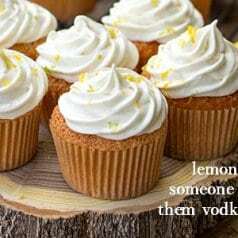 i had no idea you could swap soda for water in a cake recipe! 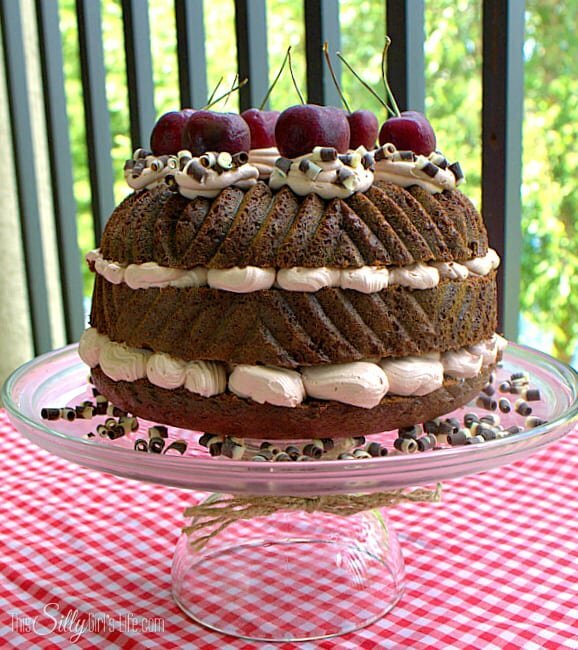 Love the sound and look of this Dr Pepper Black Forest cake! I would have wanted a piece right away too!! this is one of the most beautiful cakes ever!! WOW!! YOU are featured today over at Nap-Time Creations for the party features.. come on over and check it out!!! Wow! your cake looks amazing . Its absolutely beautiful and sounds delicious plus, I’m a big fan of Cherry Dr. Pepper! Thanks for sharing! I’m pinning it. Featuring this beautiful cake tomorrow at “Bewitchin’ Projects Block Party! It is gorgeous! How did you make the chocolate shavings? Your cake is beautiful! It sounds yummy! Thanks for posting it. I bought then in a little bottle in the baking aisle, shhh! Hehe, thanks so much! This is one good looking cake! There’s a good chance that when I make this I’ll be the only one eating it. Guess that’s not the worst thing that could happen!